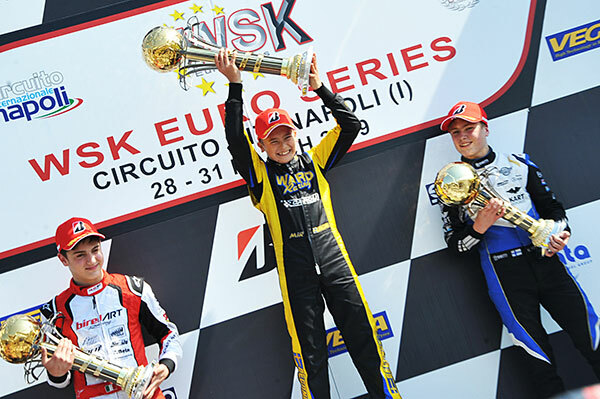 Having won his pre-final, an opening lap collision in the final ruined any chance that James Wharton had of winning the opening round of the WSK Euro Series at Sarno on the weekend. Wharton (FA Kart/Vortex) was ranked 4th after the heat racing (2nd, 1st, 8th and 4th) then won the OK-J pre-final B to start off the front row in the final. Fellow Aussie Peter Bouzinelous (Parolin/TM) had a much better event than last weekend, the highlight being 7th in pre-final B. He was ranked 26th after the 60Mini heats (results of 26, 8, 7 & 11) and easily transferred to the final, but got caught up in trouble and dropped well back, classified 29th with a bumper penalty. 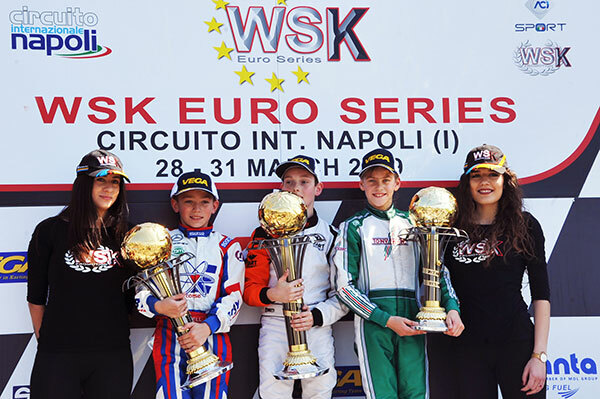 WSK Euro Series resumed its history in Sarno where today the International Circuit Napoli has staged the first of four rounds of the series. 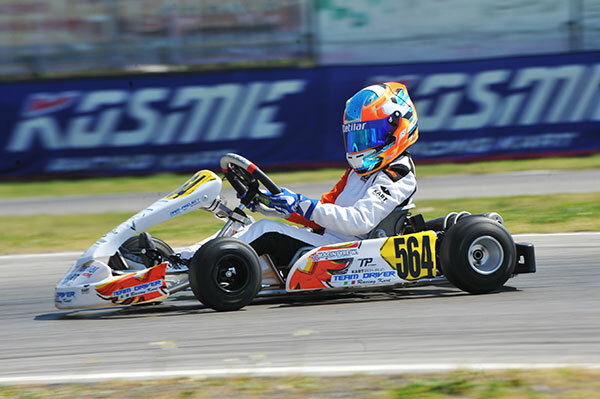 New drivers came to the fore in the International Karting scene and have been fighting for the victory during a weekend full of surprises. Today’s winners will get to the next round in Angerville (F) on April 28th as favourites to the win. 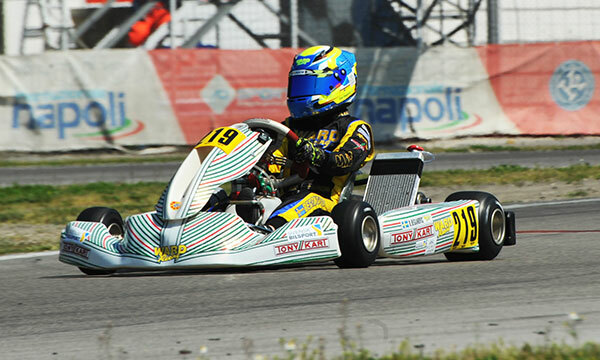 The Belgian Douwe Dedecker (Parolin-TM-Vega) had tough luck in 60 Mini. He started the Final (in the photo above) from the pole position but had to retire after leading the pack for two laps. 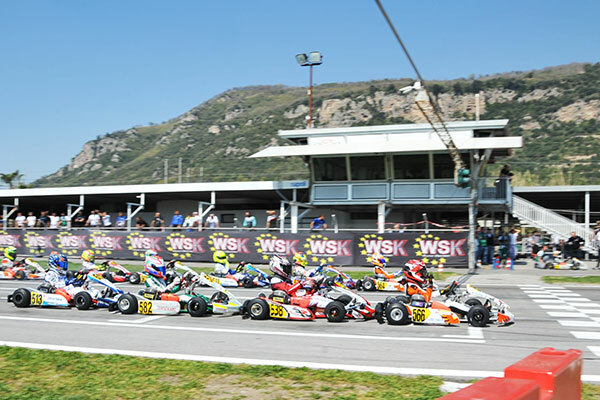 The lead was inherited by the Italian Andrea Filaferro (Tony Kart-TM), who was challenged for the lead by the Brit William Macintyre (Parolin-TM). The latter found his way past the Italian and kept the lead all the way to the flag, when he was followed on the podium by the Jamaican Alex Powell (Energy-TM). After losing some ground following Macintyre’s overtaking, Filaferro managed to recover and close the final lap in P3. Macintyre currently leads the classification at 80 points, while Powell is second at 58. 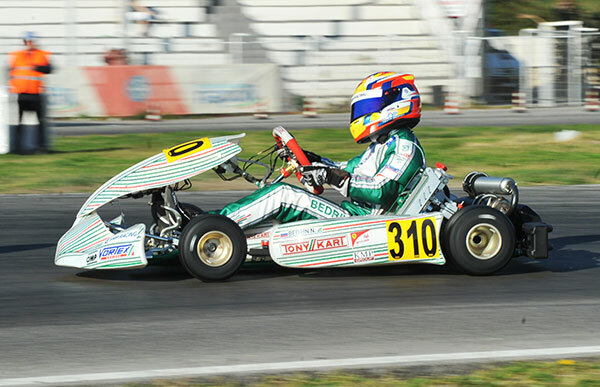 The Russian Nikita Bedrin (Tony Kart-Vortex-Vega) completed a Hat Trick in OK Junior since qualifying practice. 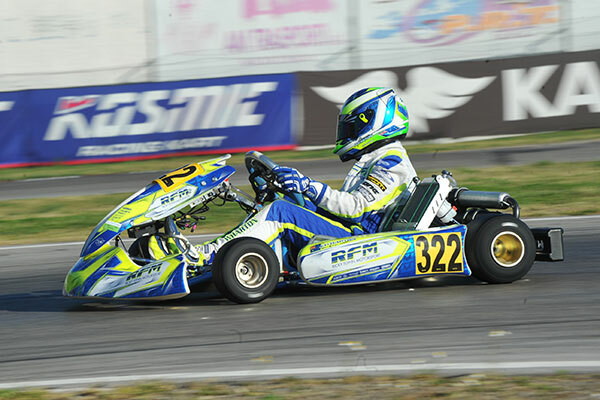 Bedrin kept his momentum in qualifying heats, Prefinal and Final. In the Final several of his rivals put in interesting comebacks though. The Dutch Thomas Ten Brinke (FA Kart-Vortex) and the Brit Jamie Day (Exprit-Vortex) started behind but respectively managed to climb up to P2 and P3, behind the uncatchable Bedrin. The Russian is currently leading the classification at 90 points, while the constant pace of the Dutch Robert De Haan (Energy-TM) paid off and earned him 41 points. The Swede Dino Beganovic (Tony Kart-Vortex-Bridgestone) had a strong day and won OK Final hands-down leading the race from lights to flag, after winning the Prefinal in a similar way. 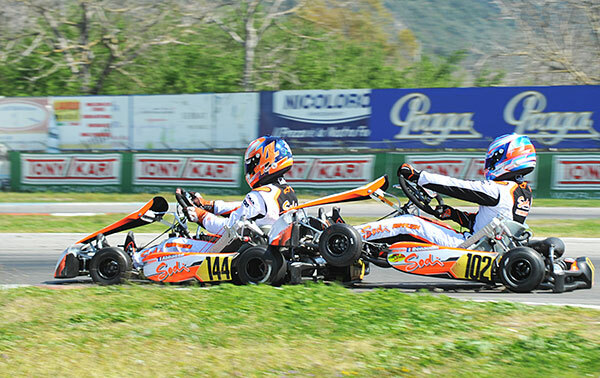 Behind him, Luigi Coluccio (Birel Art-TM) could not go beyond P2 as he could not get close enough to the leader. Behind the two, the Finn Nikolas Pirttilahti (KR-Iame) managed to recover from the starting P10 up to the third step of the podium. Beganovic installed himself in the lead of the classification at 89 points, while Coluccio is second at 48. 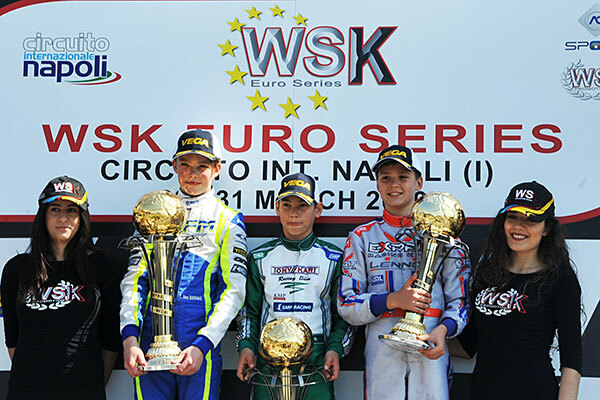 A surprising Simo Puhakka (Tony Kart-Vortex) responded with a lightning start to Riccardo Longhi’s pole position (BirelArt-TM-Bridgestone). The Finn installed himself in the lead from the second row of the grid. The Dutch Bas Lammers (SodiKart-TM) seemed to be quite resolute to get the win after Puhakka and he had a slow start to the weekend. Lammers started the race from the third row of the grid and recovered several places reaching P2. 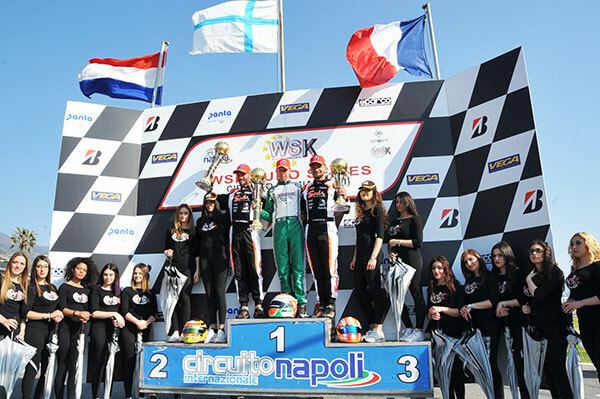 The French Anthony Abbasse (SodiKart-TM) was therefore overtaken for P2. Puhakka managed to fend off Lammers and Abbasse that closed in the order, as the Finn got the classification lead at 70 points, followed by Abbasse.